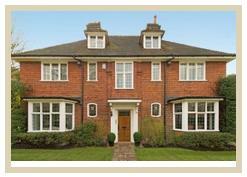 Find property in Hampstead Garden Suburb with Glentree.co.uk -The most convenient method to search for property in Hampstead Garden Suburb. 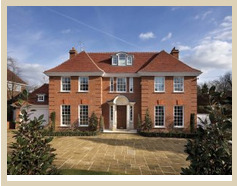 With Houses, Flats and fabulous apartments for sale Hampstead Garden Suburb, we have a long list of luxury Hampstead garden suburb property for fabulous prices, to choose from. 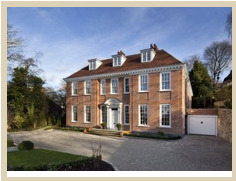 Amongst the many property services we provide, we also advise, guide and help you choose a home from our luxury property listings, which best complements your style. Principality is designed with premium living in mind with rooms for every occasion and sensuality in every last detail. On entering the house you cannot help but notice light streaming in through the atrium in the centre of the house, a stunning design set piece which never fails to impress. 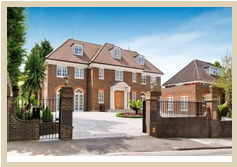 Read More..
Just a few miles north of Central London lies a stunning newly constructed 7 bedroom double fronted detached family home with a breathtaking leisure complex including a large indoor swimming pool, gymnasium, games room & cinema. 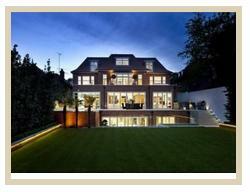 Read More..
An impressive six bedroom double fronted detached family home arranged over four floors spanning 530 Square Metres - 5,707 Square Feet.Meticulously interior designed to an exemplary standard throughout by renowned interior designer Richard Spark, this fine home backs onto and enjoys breathtaking views across Hampstead Golf Course and beyond. Read More..
Sahara is an elegant and beautifully proportioned new freehold mansion of approximately in excess of 10,000 sq ft designed and finished to a rarely seen standard and featuring some of the finest custom designed fittings and state of the art technology.Read More..
A magnificent detached freehold residence with over 8,300 sq ft of accommodation principally over 3 floors set behind a wide sweeping driveway.Read More.. Occupying a prominent position in this prized and internationally renowned turning, a substantial detached freehold residence of 8,121 sq ft set well back behind a sweeping carriage driveway and protected by electronically operated security gates.Read More..
A beautiful detached house located overlooking the Hampstead Heath Extension. The family home has been tastefully modernised retaining many original features and offers plenty of living space as well as five bedrooms (2 en-suite bathrooms). Read More.. 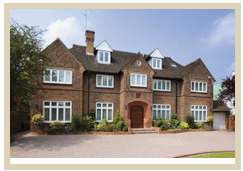 Occupying approximately half an acre and set well back from the road behind an impressive carriage driveway in one of the most prestigious London locations, a substantial Ambassadrial style double fronted detached residence. Read More..
A handsome and imposing larger than average 5/6 bedroom double fronted detached family home set well back from the road behind a wide carriage driveway.Read More.. Impressive new house with a spectacular entrance hall, lift to all floors, indoor/outdoor pool, gym and cinema together with luxury lateral family living accommodation. 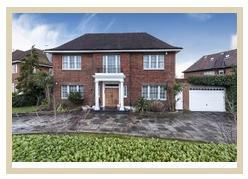 There is also a 10 year NHBC guarantee.Read More..